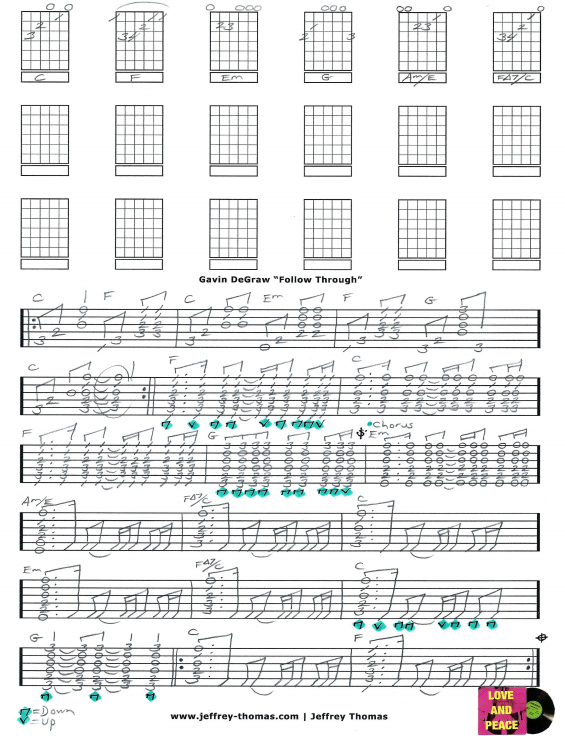 Gavin DeGraw Follow Through Free Guitar Tab by Jeffrey Thomas. Learn to play this cool ballad with my custom guitar tab that follows the original recording. Play the right chords, strumming patterns, and song structure all arranged for one guitar. Want the full guitar tab for free? Just enter your email address in the form provided and I will send it off to you. If you are interested in improving your guitar skills let me know. Make sure to fill out the Schedule A Free Lesson form and we can set up a free Skype guitar lesson today! “Follow Through” has been featured in several television shows including Scrubs and One Tree Hill. Find more great online guitar tabs on my tab, video and blog pages.